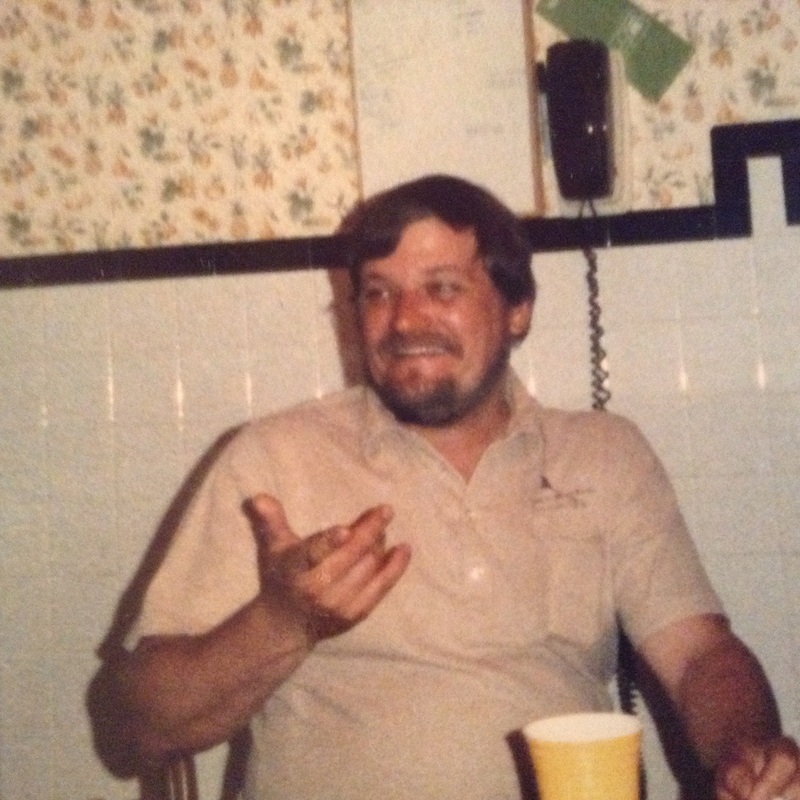 ​Who could ever forget Dannie and his cantankerous humor and good nature. 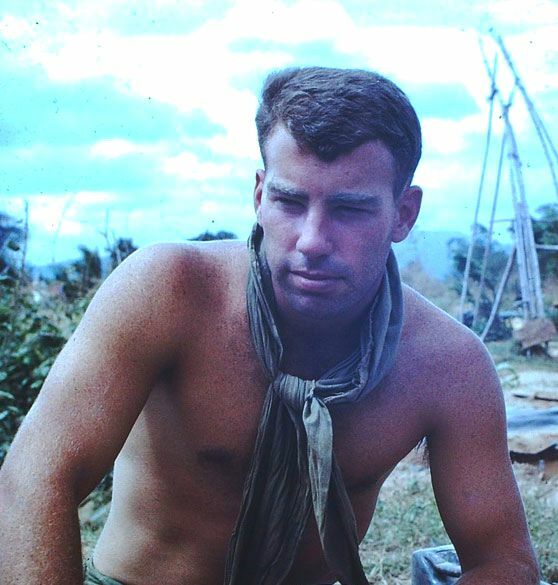 He did much good work in his life and many will miss him, especially the Vietnamese Community in California, the Purple Heart veterans he assisted and those who served with him in Vietnam. SP5 David Shelton Mortar Platoon FDC, D/16 1966-1967. 4.2" Mortar Platoon HHC, 1/503d 1967-1968. 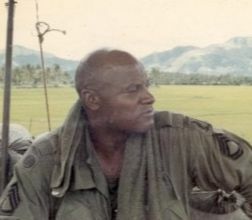 Abel served with the original 503d Regiment in Okinawa before it was reorganized and became the 173d Airborne Brigade (Separate), later to join it in Vietnam, both times with D Company, 16th Armor. Throughout his final years, he was very active with different activities within the chapter, as much as his physical status allowed. Burial services were conducted at Fort Sam Houston National Cemetery. 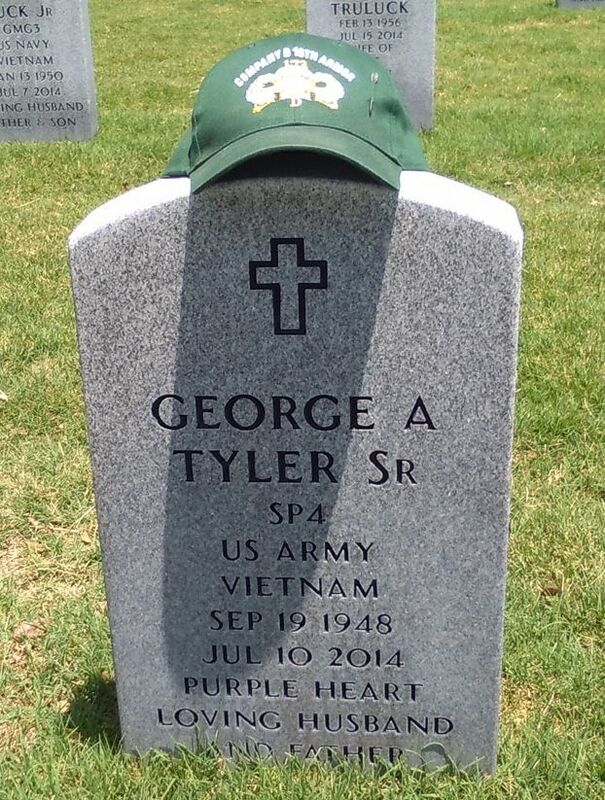 ​George A. Tyler, Sr. September 19, 1948 - July 10, 2014. 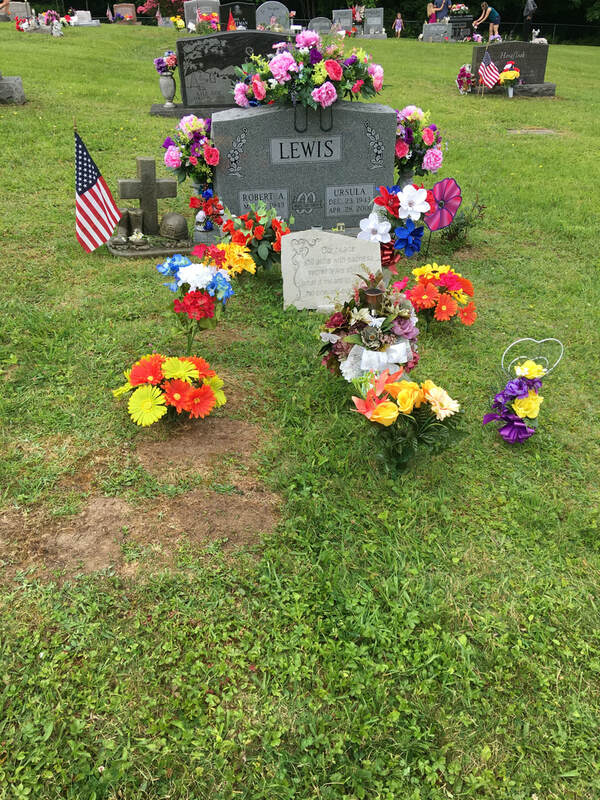 ​Services were held Thursday, July 17,2014 at 11:00 a.m. at the Florida National Cemetery, Bushnell, FL. Pastor Eric Gallmon officiated. Military honors followed. After a long battle of illness, Mr. George A. Tyler, Sr. went to be with the Lord, July 10, 2014. 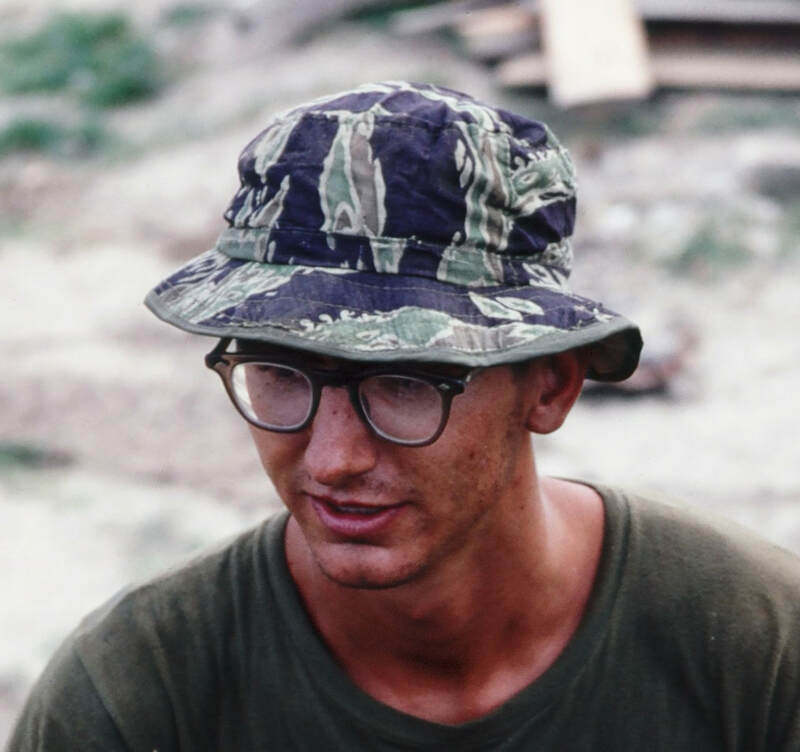 He served in the U. S. Army, 173d Airborne Brigade, 1968 - 1969, during the Vietnam War. 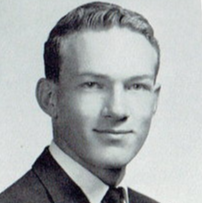 Russell Woodard served in D/16, 1st. 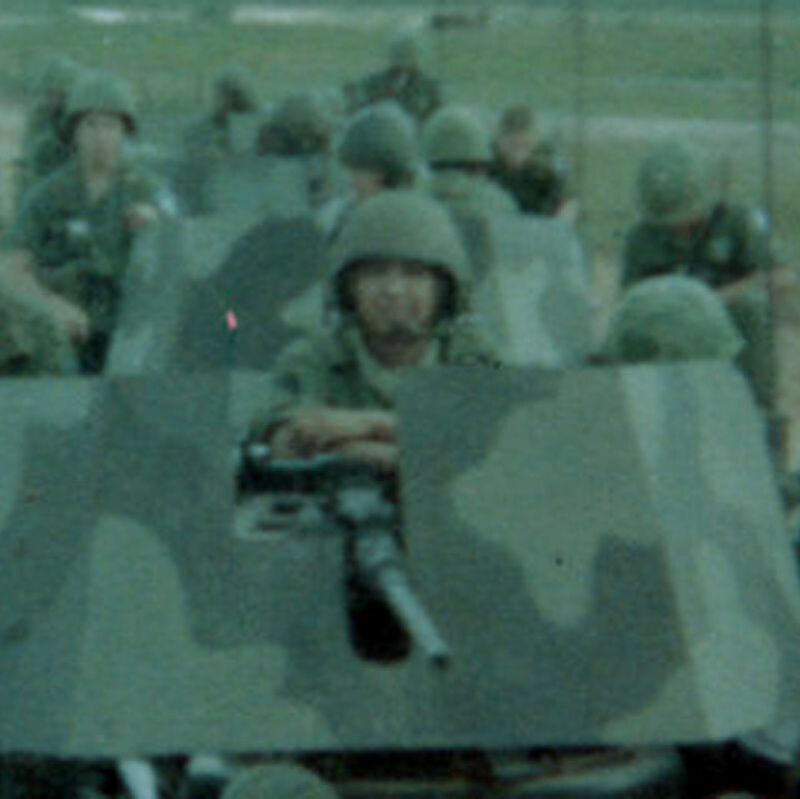 Platoon 173d 4-66 to 4-67. He was a great trooper and when he got home he served on the Omaha Police Department till his death. You are not forgotten. Platoon Sgt. 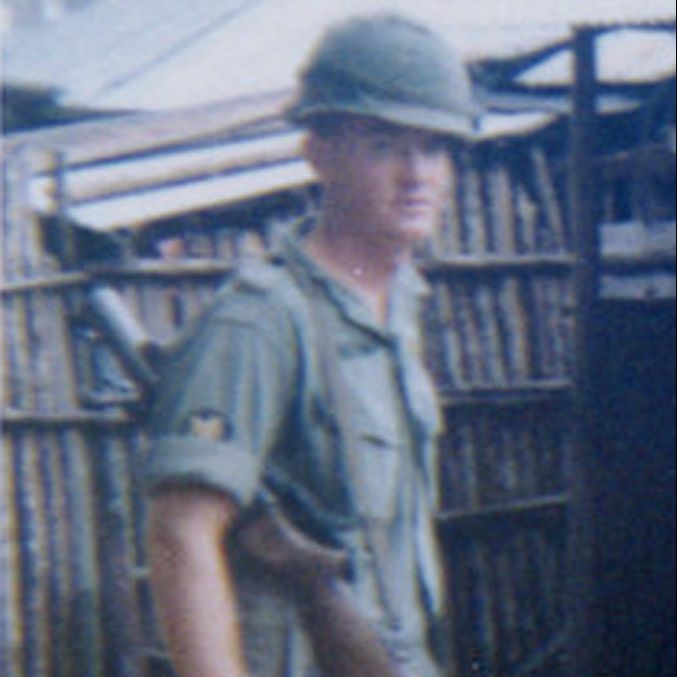 A. Opdenacker, ​1st Platoon, D/16 1966-1967. 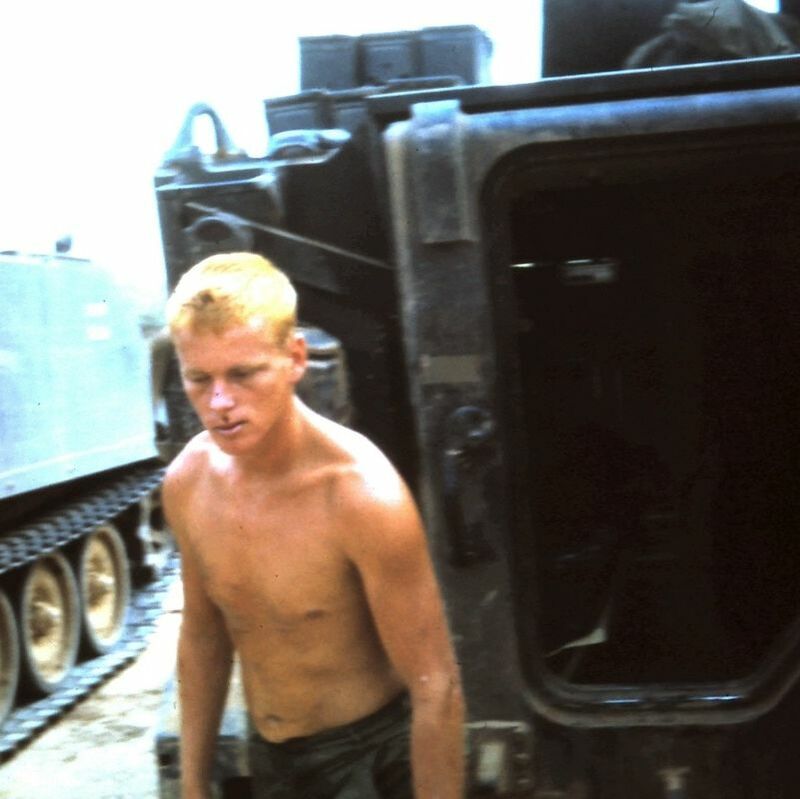 ​This was his last day in Nam. He was going to retire shortly after he got home. 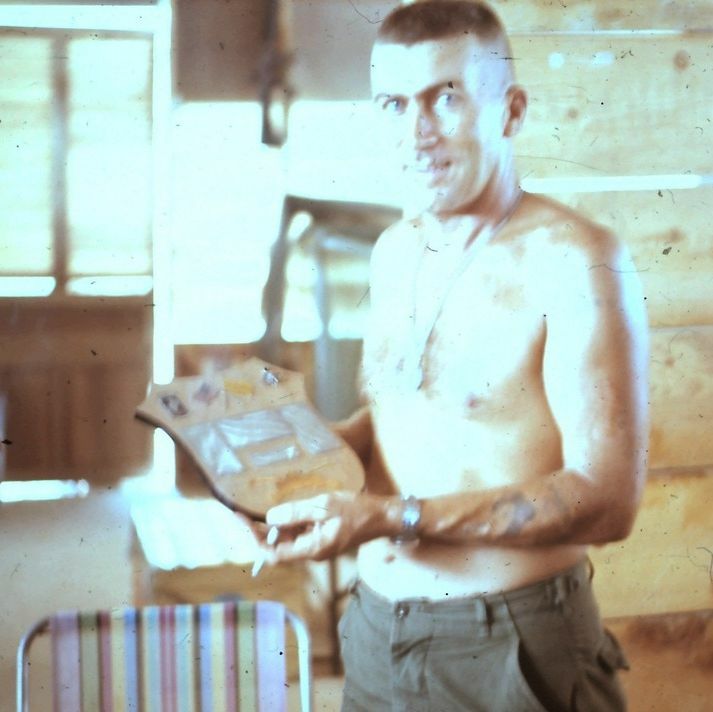 He is holding his farewell plaque from the military. He was a truly great trooper and leader of men. Passed away on Wednesday, April 11, 2018. Bob was a good man and treated everyone with equal respect. 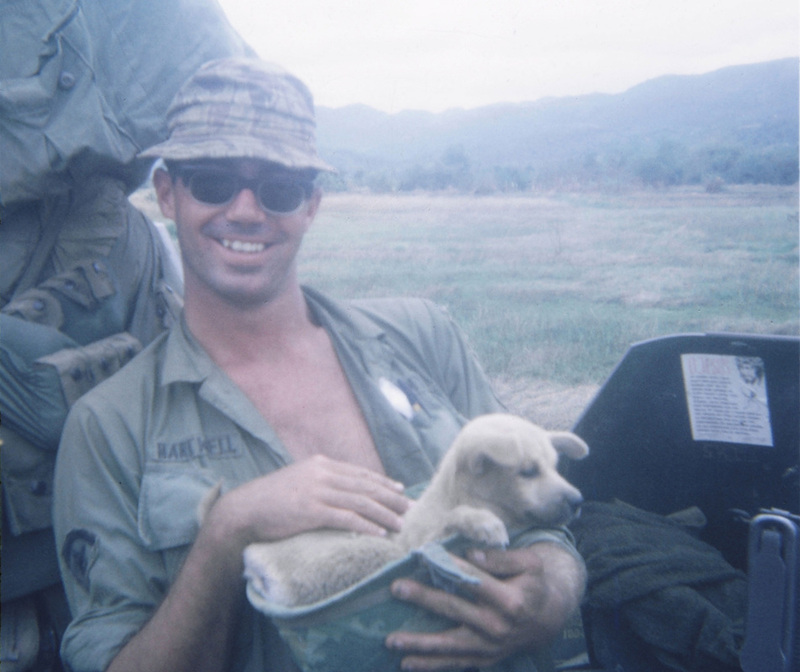 He was a exceptional squad leader and kept his troopers prepared for any mission sent to them. Bob attended the first D16 reunion, but had been in ill health since then. 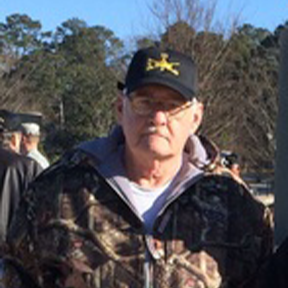 He will be missed by all, particularly those in the Mortar Platoon who knew him well. 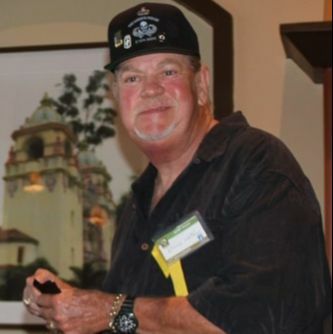 Steven Manthey Passed August 19, 2018, laid to rest at the Tahoma National Cemetery October 3rd with military honors. Please email information on these or any other departed D/16 veteran to Warren Williams , wwwilliams@etc.net.